First published in 1982. The dramatic changes in policy and theory following the death of Chairman Mao in 1976 and the publication of the most extensive official and unofficial data on the Chinese economy and society in twenty years both necessitated and made possible a thorough reconsideration of the full range of issues pertaining to the political and economic trajectory of the People’s Republic in its first three decades. 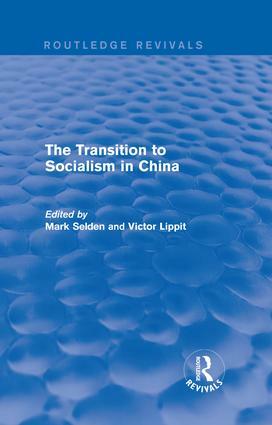 The contributors to this volume initiated a comprehensive effort to address fundamental problems of China’s socialist development and to reassess earlier perspectives and conclusions.